While in the EU the past decade can be characterized mostly by getting climate policies into place and refining them, the challenge ahead for the next decade is to substantially increase their stringency. In the first decade of this century, many of the policies considered to become the backbone for achieving these targets were developed and implemented. First of all the EU’s Emission Trading Scheme became operational in 2005, although with very weak reduction targets and primarily to achieve the Kyoto protocol obligations. In 2008 the EU adopted the 2020 climate & energy package, which entailed relatively modest targets for GHG emission reductions, renewable energy use, and energy efficiency. Around ten years later the ETS is expected to have overcome its long lasting “prices crisis” (in the wake of the 2018 reform), CO2 emission standards for cars and trucks are being tightened, and a new governance mechanisms for renewable support with complementary EU mechanisms has been agreed upon as part of the “Clean Energy for All Europeans” package. Yet the targets of the next decades are considerably more ambitious and require even more stringent policies. For the EU Long Term Strategy, a number of scenarios were developed that project the achievement of the 2030 targets as agreed in June 2018, and aim at long-term emission reductions of at least 85% by 2050 (from 1990 levels). While these scenarios are underpinned by a range of assumed policies, it is by no means clear that these policies can be implemented and ratcheted up as needed. For instance, the current price in the EU ETS – even though it has quadrupled in the last two years – still seems to be far away from driving decarbonization in the power and industry sectors at the rate required. A core question is thus: how must policies be designed in order to allow for such ‘ratcheting’? The core mechanism is illustrated in the figure below: the effects of policies implemented at an initial stage (t1) remove or relax stringency barriers over time so that policymakers can ratchet up stringency at the subsequent stage (t2). In this work we also identify at least four categories of barriers: costs (both due to the cost of new forms of decarbonization technology, and due to the economic costs of more or less efficient policy choices); distributional effects (the winners and losers of any specific climate policy choice); institutions and governance (where capacity limits and veto points might prevent the enactment of more stringent policy) and free-riding concerns (where some jurisdictions may not adopt climate policies in the hope of free-riding off of the climate policy achievements of other jurisdictions). After exploring ways in which those barriers might be reduced or eliminated, we finally draw on the cases of Germany and California to provide specific examples of how sequencing works. Applying sequencing to strengthen the EU ETS. The concept of sequencing is not only a useful approach for explaining what has enabled ratcheting in the past – it can also be used strategically to design current and future policies. In the following we apply the sequencing framework to the EU ETS to illustrate the concept and discuss implications for policy choices. A first aspect is that strong myopia of market participants could lead to persistently lower ETS price, which eventually might rise sharply towards the end of the next trading period (“hockey stick”). Such a sharp rise would face strong political opposition, possibly jeopardizing the ratcheting up of the policy. A remedy could be a minimum carbon price, which would balance prices over time as described for example by Flachsland et al. In a similar vein, the EU ETS has long been challenged by the problem of overlapping policies on the national level, which reduce demand for certificates, thus depressing ETS prices, and thereby inducing the ‘waterbed effect’ that other countries emit more. Again, a minimum carbon price could alleviate this problem, an EU-wide minimum price seems to be politically infeasible at least in the near future. Suitable policy sequencing could over time reduce this barrier. For example, recent work (Osorio et al) with a focus on the German coal phase out, examined how a coalition of ambitious countries could implement such a price floor to reduce the short-term waterbed effect. In order to prevent leakage to future trading periods, they would have to cancel allowances equivalent to the level of additional mitigation the price floor would induce – an option that was made more prominent in the last reform of the ETS,. Such a coalition could grow over time and eventually create a majority to also implement a carbon price floor in the full EU ETS. 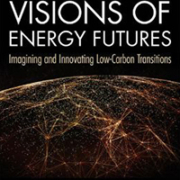 INNOPATHS consortium member, Professor Benjamin K. Sovacool has authored a recent book entitled, Visions of Energy Futures: Imagining and Innovating Low-Carbon Transitions, that uses INNOPATHS initial work and findings. This book examines the visions, fantasies, frames, discourses, imaginaries, and expectations associated with six state-of-the-art energy systems—nuclear power, hydrogen fuel cells, shale gas, clean coal, smart meters, and electric vehicles—playing a key role in current deliberations about low-carbon energy supply and use. 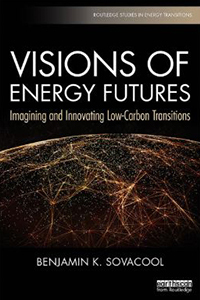 Visions of Energy Futures: Imagining and Innovating Low-Carbon Transitions unveils what the future of energy systems could look like, and how their meanings are produced, often alongside moments of contestation. The 24th Conference of the Parties (COP) closed in Katowice on December 15th, 2018. After two intense weeks of talks and crunch negotiations (with ‘overtime’), the almost 200 parties in the conference managed to agree on a 133-page rule-book which guides the implementation of the Paris Agreement. These guidelines specify how the Paris commitments will be measured, implemented and monitored. The “Katowice package” represents an important achievement ensuring a high degree of transparency in decarbonization, especially in light of recent geo-political challenges to this process. Yet, the parties could not see eye-to-eye on several key issues, including the rules for voluntary carbon markets of Article 6 of the Paris Treaty. Indeed, the slow and convoluted negotiation process clashed with the call for urgency by the scientific community. According to the latest Special Report of the IPCC on 1.5 degrees, time is of the essence. Inaction has high costs. At current rates, by 2040 the world mean global temperature will be 1 degree higher than in 1990. And this could happen even sooner, with greenhouse gas emissions rising again this year after a couple of years of stagnation. Furthermore, limiting temperature increase to 1.5 degrees (rather than simply ‘well below’ 2 degrees as called for in the Paris Agreement) would significantly lower the risk of negative climate impacts. But the more we wait to take mitigation – and adaption – actions, the more expensive it will be to tackle these problems. The need to find political consensus to push forward the decarbonization agenda is only one of the barriers to decarbonization. Other crucial financial, technological and policy barriers exist, especially with respect to the need to phase out fossil fuels, and coal in particular. Some of these barriers were presented and discussed at the COP side event “Energy decarbonization & Coal phase-out: financial, technological and policy drivers” held on December 3rd, 2018 in the EU Pavilion. The session showcased the latest research insights from ongoing research projects and from practitioners engaged in promoting decarbonization on the ground in energy and carbon intensive European countries. Elena Verdolini from the RFF-CMCC European Institute on Economics and the Environment, presented initial results from the INNOPATHS project, a four-year EU H2020 project that aims to work with key economic and societal actors to generate new, state-of-the-art low-carbon pathways for the European Union. Her presentation was structured around three key INNOPATHS outputs. First, the “Technology Matrix”, an online database presenting information on the cost of low-carbon technologies and their performance, including both historic and current data, and future estimates. The key feature of this database is the collection of a wide variety of data from different data sources, and the computation of metrics to measure the uncertainty around values. The matrix will thus contribute to mapping technological improvements (and associated uncertainty) in key economic sectors, including energy, buildings and industry. It will show that many low-carbon technologies options are available in certain sectors, but also the specific technological gaps characterizing many hard-to-decarbonize sectors, including aviation, or energy-intensive manufacturing sectors such as chemicals and heavy metals. For these technologies, additional and dedicated Research, Development, Demonstration and Deployment funding will need to be a priority. The second key output is the “Policy Evaluation Tool”; an online repository of evidence on the effect of policy interventions against key metrics, such as environmental impact (i.e. emission reductions), labour market and competitiveness outcomes. The tool will become a repository of evidence on what approaches and policy instruments work, or do not work, helping policy makers to understand how best to achieve various goals related to the energy transition. The third key output are insights from INNOPATHS researchers focusing on the financing of the decarbonization process. First, similarly to the process of industrial production, financing costs benefit from “learning-by-financing”, as lenders develop in-house abilities and experience in the selection of renewable energy projects. Second, researchers focus on the importance that public investments can play in signaling change and promoting a shift of investments away from fossil and towards low- and zero-carbon technologies. In this respect, public banks are crucial actors, which can act as catalysts for private investments. Laurence Watson, from Carbon Tracker, summarized the main insights from a recently-released report and online portal that provides a well-rounded assessment of the economics of coal-fired power plants across the world. The key point emerging from this analysis is that coal is that nearly half of all coal plants are currently unprofitable, set to rise to three quarters by 2040. 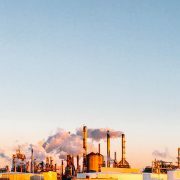 Prevailing economics, nascent carbon pricing and an increased focus on the impacts of air pollution are driving this trend. In many regions renewables are rapidly approaching a cost that will be cheaper than operating existing coal plants, and by 2030 this will be the case in most markets. This means stranded assets in the power sector, and pressure on policymakers to not subsidize ailing coal fleets. There is good evidence that coal’s contribution to gross domestic product and employment has shrunk over time – including in coal-intensive regions. This novel analysis provides important evidence for policy-makers and investors willing to align with the Paris Agreement climate targets. All the data is easily accessible through a data-driven interactive web-based tool which shows the cost and profitability of almost all of global coal-fired capacity. Oskar Kulik of WWF Poland presented the impact of the declining role of coal through the example of Silesia, Poland, the largest hard coal mining area in the EU. While coal mining does still play an important role in the regional economy, its role is declining: from over 15% of the regional GDP in 1995 down to 6% currently, and from 300,000 jobs in the early 1990s, to around. 75,000 today (while maintaining unemployment rates below the national average). Based on recent research by WiseEuropa the most important factors in this decline are the growing costs of coal extraction, driven by factors largely independent of low-carbon policy. Irrespective of the drivers, the region will be faced with socio-economic challenges as a result of such pressures. As such, the main recommendation is to plan for this transition in a way that will be just for the local communities and region as a whole. Alexandru Mustață from CEE Bankwatch Network discussed some of the challenges of the low-carbon transition encountered at the grassroots in six coal-intensive Eastern European countries, but also possible solutions. Through a project supported by the European Climate Initiative (www.EUKI.de), CEE Bankwatch Network is able to support knowledge between post-Soviet countries (such as through study tours in to the Czech Republic and Poland during the COP), and by collecting resources from researchers, trade unions, political parties or NGOs on a central platform. Many stakeholders from these regions are ready for alternative growth pathways, but lack the support (in the form of politics, policy, experience or infrastructure) to make it happen. The common thread across all contributions was the importance of focusing on how macro-level decarbonization goals and commitment are presented, communicated and implemented at the local level. The core concern underlying COP24 was the need to tackle climate change but ensuring a just, inclusive transition that supports those groups and regions that may be hit hardest. Dr Elena Verdolini from the RFF-CMCC European Institute on Economics and the Environment and INNOPATHS Work Package Leader, presented initial results from the INNOPATHS project, explaining how this project aims to work with key economic and societal actors to generate new, state-of-the-art low-carbon pathways for the European Union. This presentation was part of a side event on ‘energy decarbonisation & coal phase out: financial, technological and policy drivers’ at the COP24 in conjunction with Carbon Tracker, WWF Poland and CEE Bankwatch Network. This presentation was structured around three key INNOPATHS outputs. First, the “Technology Matrix”, an online database presenting information on the cost of low-carbon technologies and their performance, including both historic and current data, and future estimates. The key feature of this database is the collection of a wide variety of data from different data sources, and the computation of metrics to measure the uncertainty around values. The matrix will thus contribute to mapping technological improvements (and associated uncertainty) in key economic sectors, including energy, buildings and industry. It will show that many low-carbon technologies options are available in certain sectors, but also the specific technological gaps characterizing many hard-to-decarbonize sectors, including aviation, or energy-intensive manufacturing sectors such as chemicals and heavy metals. For these technologies, additional and dedicated Research, Development, Demonstration and Deployment funding will need to be a priority. Much research on electric mobility transitions has been descriptive or positive, rather than normative or critical, assessing the deeper ethical, justice, or moral issues that arise. To address this gap, this study qualitatively examines the ongoing transition to Nordic electric vehicles(EVs) and vehicle-to-grid (V2G) systems. It does so through the various lenses of distributive justice, procedural justice, cosmopolitan justice, and recognition justice. It asks: what are the types of injustices associated with electric mobility and V2G? In what ways do emerging patterns of electric mobility worsen socio-environmental risks or vulnerabilities? 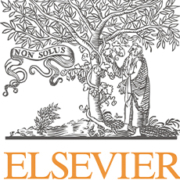 Based on original primary data collected from 257 experts across Denmark, Finland, Iceland, Norway, and Sweden, the study finds that electric mobility can erode elements of distributive justice for being accessible only to the rich, and for raising risks related to privacy, hacking, and cyberterrorism. Electric mobility may contravene aspects of procedural justice by reinforcing exclusion and elitism in national planning. It can erode cosmopolitan justice by producing negative environmental externalities, and exacerbating rural (and global) vulnerability. It may threaten recognition justice through unemployment, disruption to traditional businesses, and the entrenchment of patriarchy. Thankfully, the study also proposes a suite of policy mechanisms to address many of these concerns. By Benjamin K. Sovacool, Johannes Kester, Lance Noel, Gerardo Zarazua de Rubens. In recent years, evaluating the emissions embodied in trade (EEIT) has become an important area of policy and research. Multiregional input-output (MRIO) analysis, which links producers and final consumers, is a widely-used method for quantifying the EEIT. However, the role of intermediate trade in driving changes in the EEIT is still not fully incorporated in MRIO analysis and as a result poorly understood. Here, we present a framework that separately identifies the drivers of the emissions embodied in the trade of final and intermediate products. We implement this framework in a case study in which we analyse the changes in CO2 emissions embodied in interprovincial trade in China from 2007 to 2012. We find that the largest changes are a rising final demand, which is associated with increased emissions that are to some extent offset by decreasing emissions intensity and changing interregional dependency. Regionally, the rising imports and the growth in final demand in less developed regions in the north and central (e.g., Hebei and Henan) reduced the CO2 emissions outsourced by central coastal regions and drove the traded embodied CO2 flows between the central and western regions. The framework enriches our understanding of the role played by intermediate trade in the relocation of emissions. Written by Jing Meng, Zengkai Zhang, Zhifu Mi, Laura Diaz Anadon, Heran Zheng, Bo Zhang, Yuli Shan and Dabo Guan. Renewable energy technologies often face high upfront costs, making financing conditions highly relevant. Thus far, the dynamics of financing conditions are poorly understood. Here, we provide empirical data covering 133 representative utility-scale photovoltaic and onshore wind projects in Germany over the last 18 years. These data reveal that financing conditions have strongly improved. As drivers, we identify macroeconomic conditions (general interest rate) and experience effects within the renewable energy finance industry. For the latter, we estimate experience rates. These two effects contribute 5% (photovoltaic) and 24% (wind) to the observed reductions in levelized costs of electricity (LCOEs). Our results imply that extant studies may overestimate technological learning and that increases in the general interest rate may increase renewable energies’ LCOEs, casting doubt on the efficacy of plans to phase out policy support. October 9, 2018 /0 Comments/in Blog /by Lionel Nesta, Elena Verdolini and Francesco Vona. 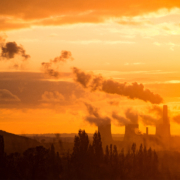 With the striking exception of the USA, countries around the world are committed to the implementation of stringent targets on anthropogenic carbon emissions, as agreed in the Paris Climate Agreement. Indeed, for better or for worse, the transition towards decarbonization is a collective endeavour, with the main challenge being a technological one. The path from a fossil-based to a sustainable and low-carbon economy needs to be paved through the development and deployment of low-carbon energy technologies which will allow to sustain economic growth while cutting carbon emissions. Unfortunately, not all countries have access to the technologies which are necessary for this challenging transition. This in turn casts serious doubts on the possibility to achieve deep decarbonisation. Developed countries accumulated significant know-how in green technologies in the last decades, but most of developing and emerging countries do not have strong competences in this specific field. Yet, it is in these latter countries that energy demand, and hence carbon emissions, will increase dramatically in the years to come. The issue at stake is how to reconcile the need for a global commitment to the energy transition with the reality of largely unequal country-level technological competences. Public R&D investments play an important role in the diffusion and deployment of low-carbon technologies. Public investment in research is the oldest way by which countries have supported renewable energy technologies. For instance, following the two oil crises of the 1970s, the United States invested a significant amount of public resources in research and development on wind and solar technologies, with a subsequent increase of innovation activities in these fields. The same pattern can be observed in the last two decades in Europe, where solar, wind and other low carbon technologies have been supported by public money. But innovation policies and R&D investments are only one of the possible ways in which governments can stimulate low-carbon innovation. Environmental policies are another way to stimulate clean innovation, which comes as an additional pay-off of emissions reduction. Usually, governments rely on two different types of environmental policy instruments: command-and-control policies, such as emission or efficiency standards, and market-based policies, such as carbon taxies or pollution permits. The former put a limit on the quantity of pollutant that firms and consumers can emit. The latter essentially work by putting an explicit price on pollution. Both types of instruments have the direct effect of lowering carbon emission in the short term. In the longer term, they also have the indirect effect of promoting low-carbon innovation. This is because they make it worth for firms to bring to the market new, improved technologies. Over the past decades, countries have implemented different low-carbon policy portfolios, namely a combination of different policy instruments to foster the development and deployment of low-carbon technologies. The combination of R&D, command-and-control and market-based policies varies greatly across countries. A crucial question often debated in the literature is: which policy instrument is more effective in promoting innovation in renewable technologies vis-à-vis innovation in efficient fossil-based technologies? Importantly, low-carbon innovation can refer either to renewable technologies, which effectively eliminate carbon emissions from production processes, or to more efficient fossil-based technologies, which decrease the content of carbon per unit of production. Favouring the former type of innovation over the latter is strategically important in the long-run: renewable technologies allow to completely decouple economic growth from carbon emissions. Conversely, fossil-based technologies may give rise to rebound effects, namely increase in overall energy demand (and possibly also in overall emissions) because they make it cheaper to use fossil inputs. A recent study by Nesta et al. (2018) shows that certain combinations of research and environmental policy instruments are more effective in promoting renewable energy innovation than others. More specifically, there is no ‘one-fits-all’ solution when it comes to choosing the optimal combination of market-based or command-and-control environmental policies. Au contraire, to be effective in promoting renewable innovation, policy portfolios need to be tailored to the specific capability of each country. The study relies on data on innovation in low-carbon and fossil-based technologies in OECD countries and large emerging economies (Brazil, Russia, India, China, South Africa and Indonesia, BRIICS) over the years 1990-2015. The authors apply an empirical methodology that allows to test how effective each “policy mix” is in promoting innovation, depending on the level of specialization of each country in terms of green innovation. The analysis shows that there are three different regimes of low-carbon specialization. The first one characterizes those countries with extremely low competences in green technologies as compared to fossil-based technologies. This accounts for about half of the observations in the study, including the BRICS countries. In this case, the research suggests, the only effective way to promote the redirection of technological expertise towards green technologies is through direct investment in low carbon R&D. The second regime does come into play until a country shows enough specialization in green technologies. In this regime, environmental policies start to become effective in further consolidating the green technological specialization. The successful innovation strategy in this case is that which combines command-and-control policy instruments – which lower the incentives associated with fossil innovation – with market-based policies – which increase the incentives associated with green innovation. The third regime is characterized by a substantial specialization in green know-how. This regime includes only 12 percent of the observations in the study. In this last case, market-based instruments alone are effective in sustaining green innovation vis-à-vis innovation in fossil technologies. Countries which tailor their policy portfolio based on their level of competencies will be more successful in promoting renewable innovation. A clear example of the dynamics behind this finding is illustrated by Denmark. In the pre-Kyoto period, Denmark had not yet reached the required level of expertise in renewable energy. The country continued to invested heavily in building such expertise through significant investments in renewable research and innovation. As a result, Denmark moved to the second regime. At that point, the country strengthened both command and control and market-based policy instruments, further promoting renewable innovation vis-à-vis innovation in fossil-based technologies. This resulted in an even higher level of competencies in renewables, bringing Denmark to the third regime. The country was then in a position to switch away from command-and-control instruments and simply rely on market-based instruments to promote renewable innovation. Countries which fail to tailor their policy portfolio are not successful in promoting renewable energy innovation. For instance, France represents a case of failure, as illustrated by our results. The lack of an adequate market-based support for renewables in the nineties led to the full dissipation of the French early advantage in these technologies. Indeed, France was the only country that is in the third regime in the first period and was then in an ideal position to implement ambitious policies before other countries, thus keeping its relative technological advantage. Instead, the country chose to fully specialize in nuclear energy. This eroded France’s capability in renewable energy innovation. This implies that France cannot simply rely on market-based instruments to successfully promote renewable innovation nowadays. These results are of interest for emerging economies, and suggest that countries like Brazil, Russia, India, Indonesia, China and South Africa should be less timid in strengthening the stringency of both types of policy instruments, because they are well positioned to fully benefit from the innovation incentives. Fast-developing countries desperately need to build innovative capacity in renewable energy technologies and promote their diffusion. Apart from India and, to a lesser extent, Indonesia, all countries have built a satisfactory level of expertise in renewables. This calls for the implementation of both market-based and command-and-control policy instruments as means to embark on a virtuous renewable innovation circle. China stands out due to a high level of expertise in green technologies. Overall, their level of expertise in renewables is such that they would be in the position to fully benefit from the innovation incentives associated with more stringent mitigation policies in support of the energy transition.